User login and user registration are one of the most common features in a mobile app. With Appery.io Database built-in user management feature, adding a login and registration capability to an app is very fast and simple. 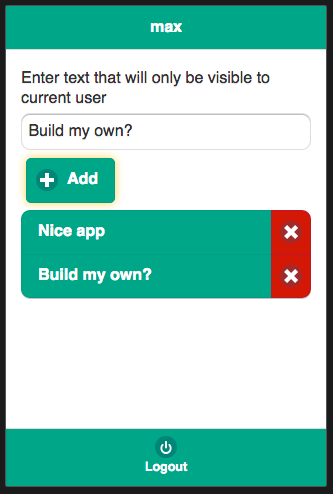 We know that developers love examples and so we published an app example that shows how this functionality is created. To create an app based on this example is even faster. 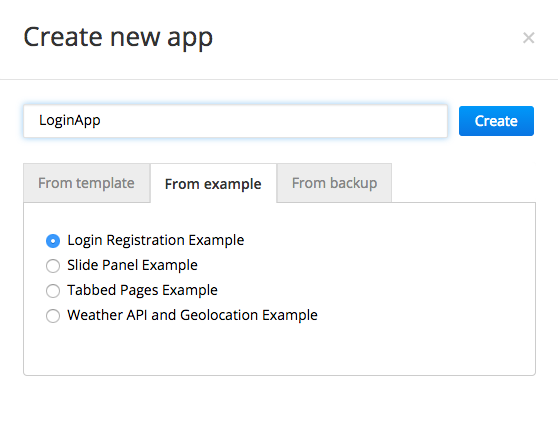 When creating a new app switch to From example tab and select Login Registration Example. Then hit Create. This example does require a very quick setup, you need to create a database where the users will be store. Head over to documentation for setup steps. Go ahead and try this example. Feel free to make any changes. You can always delete this app and create a brand new one based on the example again.